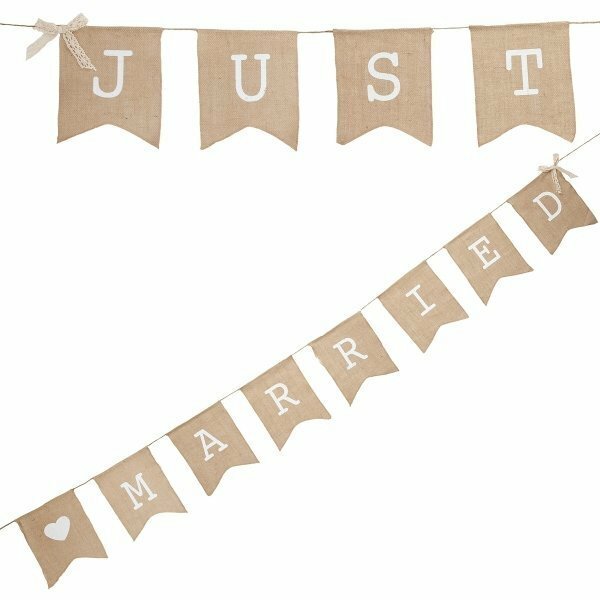 Ideal wedding photo prop or reception decoration, this hessian burlap bunting features the words Just Married printed in white along with a heart and ribbons for a nice finishing touch. 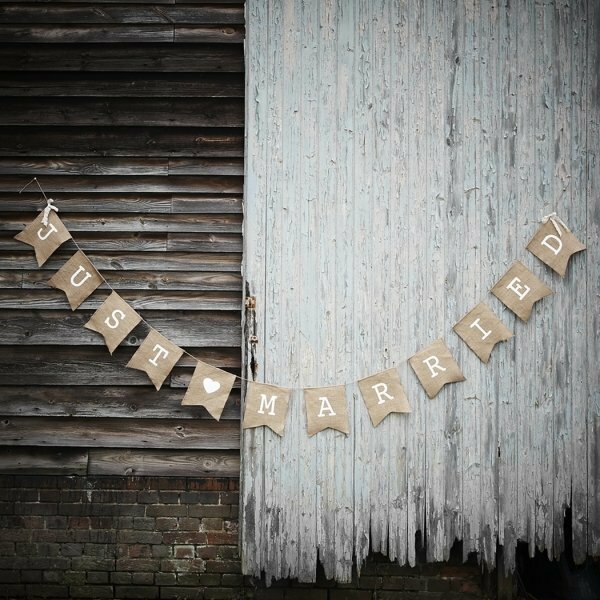 Perfect for rustic, country, burlap or vintage themed weddings. Size: 2.5 m long, each flag measures 20.5 cm wide x 24 cm high.